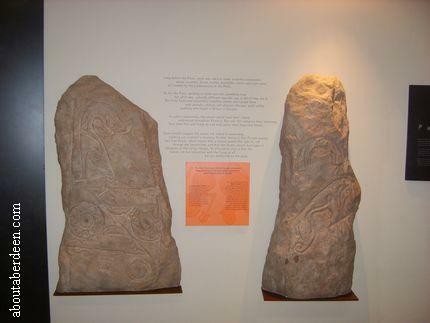 Pictavia in Brechin is a VisitScotland and Angus Council Economic Development Unit attraction that brings the life of the Picts to visitors in an interesting and interactive way. 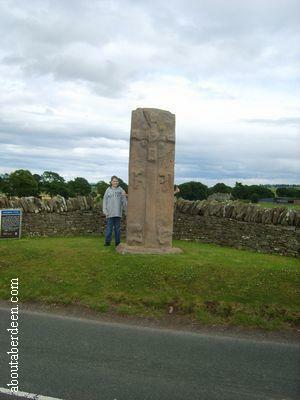 The Picts were the indigenous people of Scotland and first settlers during the first millennium. These Celtic people were converted to Christianity after St Colomba came to Loch Ness. As you enter the Pictavia Brechin Picts Visitor Centre you enter a dark room which lights up with a display about the Picts with videos and a voice over. Aboutaberdeen thinks the Scottish actor Brian Cox narrates this visual and auditory experience. Brian Cox plays Mclevy, the Victorian Detective in Leith, on radio 4 and BBC radio 7 as well as appearing in films and TV series such as X Men, Bourne Supremacy, Tell Tale, The Good Heart, Deadwood and The Flying Scotsman. This Pictish experience talks about the battle of Dunnichen which was won by the ancient Picts and the life of King Egfirth of Northumbria. There is plenty to do at Pictavia as you make your way through the Picts visitor centre. 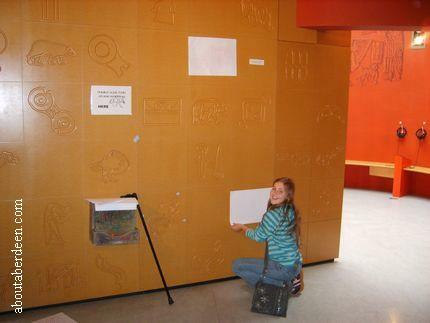 For example there is a rubbings wall where children and young at heart adults can rub Pictish patterns onto supplied paper and crayons. 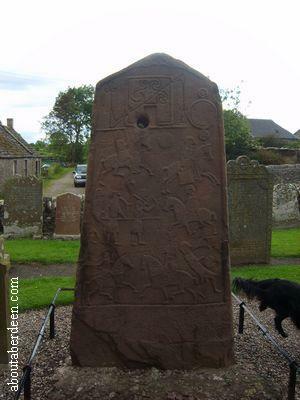 Computer terminals and touch screen interactive monitors give users the chance to take part in Pictish quizzes to learn more about their daily life such as how they hunted, cooked, ate, warfare, danced, their religion and music. Another room has telephone hand sets through which Pictavia visitors can hear reproduction of how the Picts music would have sounded and how a village would have be brought alive with the sounds of cooking, children and babies and the animals. This includes a Pict lullaby, the gathering of a harvest and the sounds of wildlife. In the middle of Pictavia is the Picts museum with actual and reproduced Picts stones, tools and artefacts used to make their intricate symbols and patterns. This includes the five stones from Menmuir. 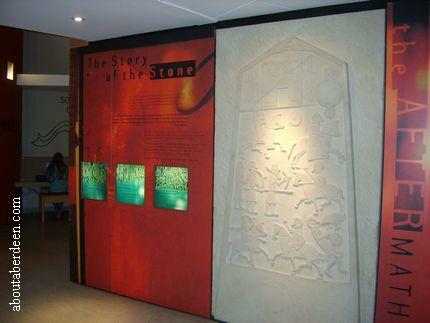 Roman occupation displays teach visitors about the Romans and their life in Scotland. The day aboutaberdeen.com visited there was a Romans Alive in Pictavia experience which included Roman re-enactments and actors dressed as Romans in shiny armour. Other exhibitions and special events take place throughout the year at Pictavia. Details of the Angus Pictish Trail can be obtained from the Visit Scotland tourist information guide. 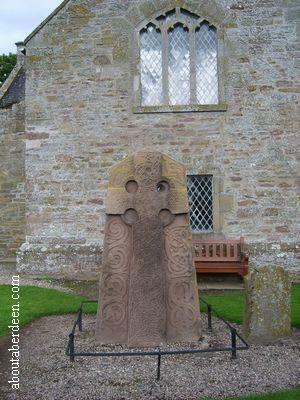 Further below are photos of some of the Picts stones, Celtic crosses and graves taken by www.aboutaberdeen.com and places of interest on the Angus Pictish Trail include the Brechin Cathedral and Round Tower, the Aberlemno Sculptured Stones, Caterthun Hill Forts, Edzell Castle, Tarfside Cross, Montrose Museum, St Vigeans Museum, Arbirlot Manse, Dundee Museum, Tealing Souterrain, Keillor, Meigle Museum, Eassie Church, Lintrathen Church, Kirriemuir Gateway, St Orland's Stone, Pictish cross slab at Glamis Manse and at Hunter's Hill in Thornton, Restenneth Priory, The Meffan and the Dunnichen Battle Cairn. The Pictich Arts Society (PAS) often hold lectures at Pictavia. Pictavia Visitor Centre is located to the left of the Brechin Castle Centre and there are plenty of free car parking and disabled parking immediately outside. There is disabled access throughout Pictavia as it is on one level. In the same building there is a restaurant, play area, garden centre, toilets and shop. The entry and exit of Pictavia has a VisitScotland gift shop selling Scottish gifts and Pictish related items. The rear grounds give access to the Brechin Castle Centre Countryside Park at an additional cost. The Brechin Castle Centre Countryside Park has a model farm, boating pond and ornamental lake, pets area, tractor and cart rides, activity castle, aerial slide, sand pits and nature trails. Visit www.pictavia.org.uk for the opening times and admission prices. At the time of this Aboutaberdeen review this was from Easter to the middle of October: 9:30am to 5:30pm Monday to Saturday with Sunday opening times of 10:30am until 5:30pm. During the winter months Pictavia closes 30 minutes before the summer open times and opens at 9am Monday to Saturday and 10am on a Sunday.  An adult ticket to Pictavia cost �3-25 whilst a child ticket is �2-25. Children aged under five years go free to Pictavia. A family ticket is available for �10 and this gives access to Pictavia for up to two adults and three children. A voucher to admit a child free is available to download and print off at pictavia.org.uk On the day aboutaberdeen.com visited Pictavia in Brechin we were given a �2 off ticket from the Visit Scotland guide. Discounted group rates are also available for the Pictavia Brechin Picts Visitor Centre. Places To Visit With Children In Scotland.